ACC is a non-profit membership organization dedicated to consumer education, advocacy and financial literacy. We support America's economic growth by encouraging the sale and use of safe, reliable products and services to consumers. 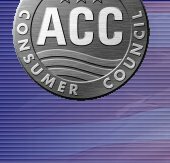 ACC achieves its mission by serving the economic and consumer needs of its 120,000+ members and 46 state/regional consumer council affiliates. In 2001, the American Consumer Council launched its first Green Initiative by offering educational programs and workshops to help consumers understand the importance of environmental responsibility and how to practice it in their daily lives. For the past few years, ACC has endeavored to create a certification program for companies and organizations so that consumers can support those businesses that support the environment. The Green C™ Certification program represents our best efforts to date. In 2009, ACC’s commitment to protecting and enhancing our natural resources and promoting Corporate Social Responsibility (CSR) was expanded to recognize those businesses, government agencies, educational institutions, healthcare facilities, and non-profit organizations that embrace Sustainability and foster Green Initiatives. ACC is making a difference to improve our environment and protect our natural resources. By earning the Green C™ Certification, your organization will be recognized for not only being in compliance with industry and government standards for environmental responsibility, but also you will be recognized for promoting environmentally-responsible products and practices, and helping to create a “culture of Green” in your industry. The Goal of ACC’s Green C™ Certification Program: Our primary goal is to recognize and certify the Green practices of deserving businesses and organizations throughout North America. We also seek to promote Corporate Social Responsibility on the part of all organizations. We achieve this goal through ACC’s Green C™ Certification program and recognizing businesses, government agencies, and non-profit organizations that operate in an environmentally sensitive manner. We also want to encourage our members to do business with those deserving companies. 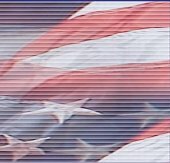 For specific meeting information on upcoming meetings, workshops, and conferences hosted by the American Consumer Council, please contact our office at 760-787-0414 or email us. Site created by Next Steps Publishing & maintained by Parker Web Solutions, Inc.